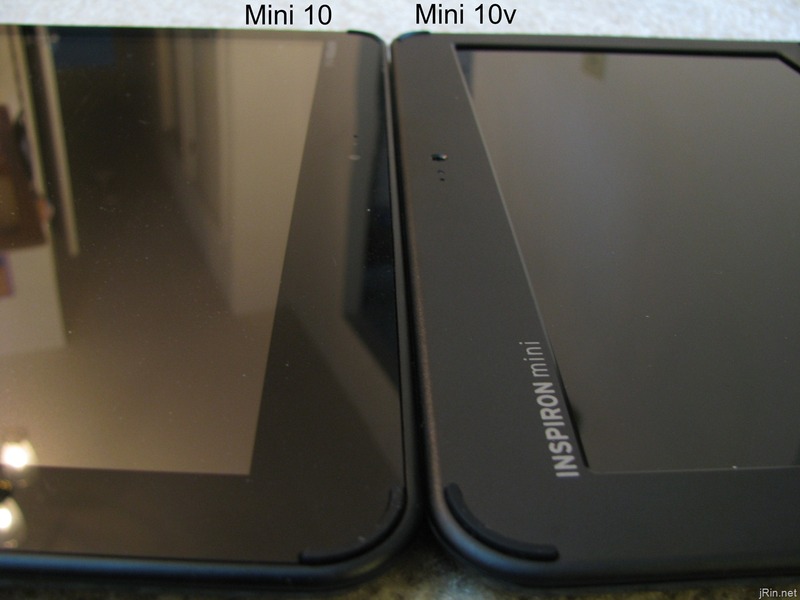 As you can see above, the Mini 10v’s screen does not sit flush with the bezel like it does with the Mini 10, nor is it as glossy. 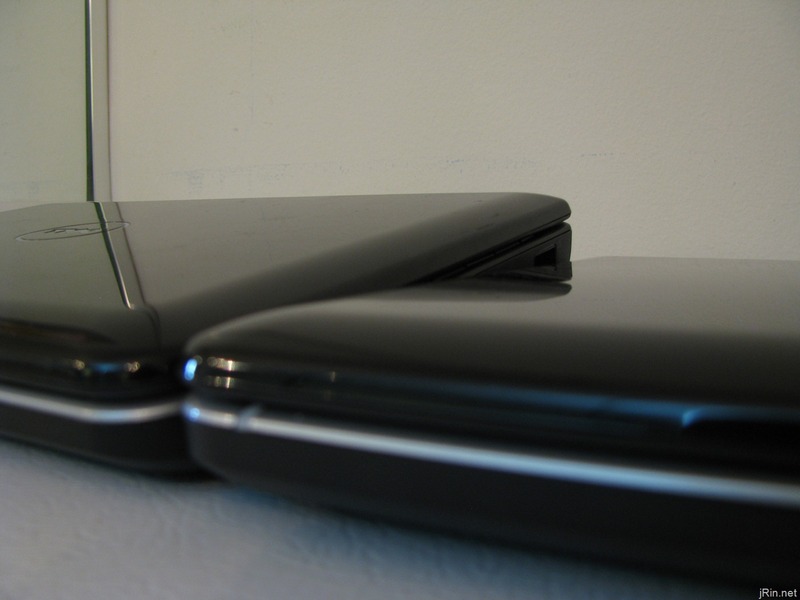 Here, you can see that they are the same other than usb placements and HDMI (10) vs VGA (10v). And lastly, the front and rear are the same! 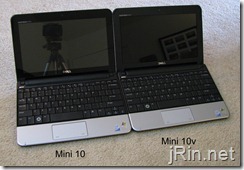 The Mini 10/10v have one of the better keyboards I’ve used in netbooks (other than the EEE PC 1000HE or Samsung NC20). 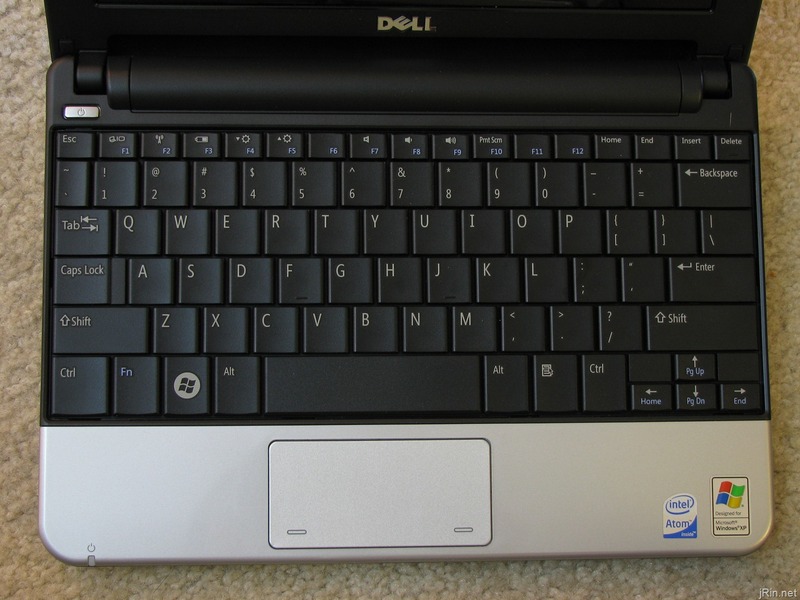 The keyboard’s size is 92% of a regular keyboard and none of the keys are placed in crazy locations (…such as the Dell Mini 9…). There is no noticeable flex and the keys are not loose. One thing that is different when compared to most netbooks/laptops is that the function keys require you to hold down the FN key, as opposed to having the “extra” keys (brightness, volume, external monitor, wifi switch, etc) needing the FN key. This isn’t necessarily a bad thing, it’s just different. The touchpad is a catch 22 for me on the Mini 10 – it’s great in that it’s large and works just like any other touchpad, but the multitouch really gets in the way. I am used to having my thumb rest on the touchpad buttons and then just using my middle finger to navigate the cursor. However, when I keep my thumb on the touchpad button (not depressed, just resting on it), I am unable to use my other fingers for navigating the cursor – it registers both fingers as a multitouch action (even though my thumb is on the touchpad button area and not the “navigation” part). What’s strange, though, is that this isn’t an issue with the 10v – I can have my thumb on the button and still use my finger to move the cursor…strange (and I cannot find an option to turn off multitouch). 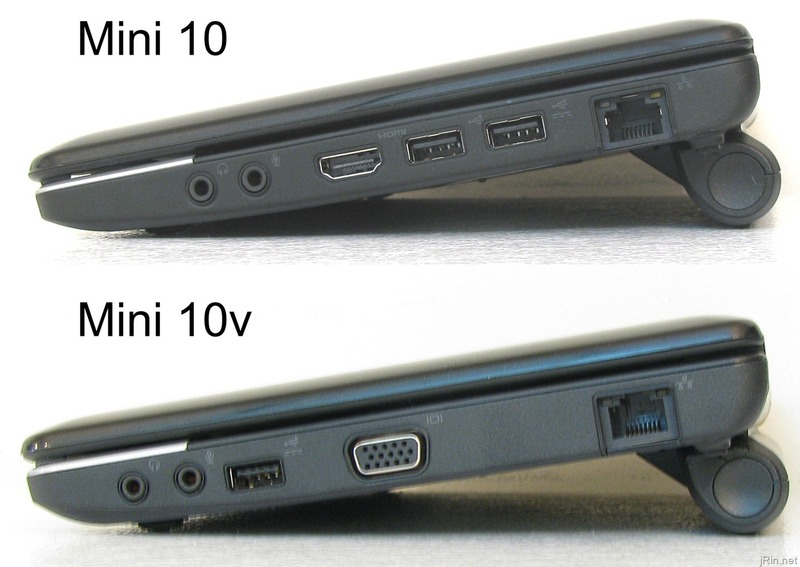 Overall build quality for both Mini 10/10v is on par with most any other netbook – no flex, sturdy lid, etc. 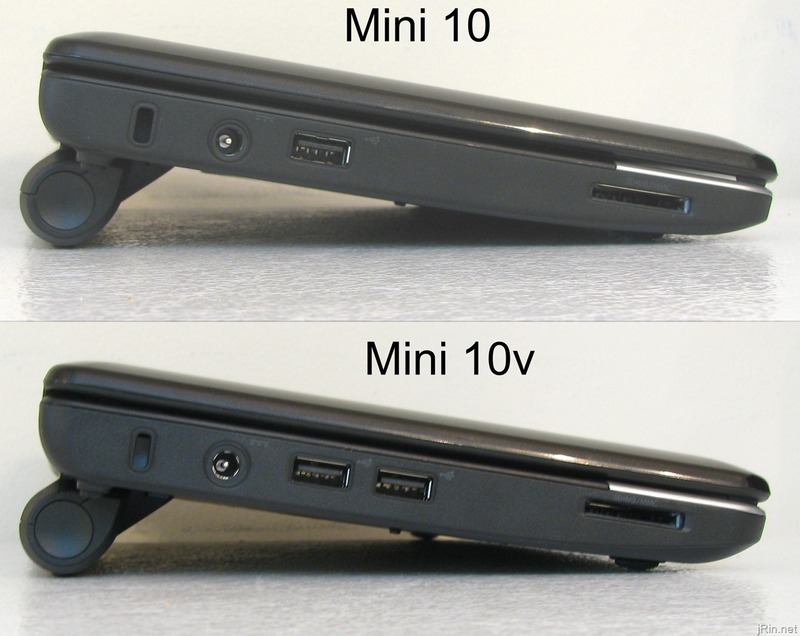 If you’ve held/used an acer aspire one, msi wind, hp mini – they’re all pretty much the same as the Mini 10/10v in “build quality”. As you can see, they were very close in batter life, with the Mini 10v being able to handle over 6 hours when doing ONLY basic web browsing. Let me first say they are both Atom processors with integrated graphics. They’re not powerful. Basic web browsing, word processing, etc is fine. Dvd watching / music listening, okay. Light gaming, you’re stretching it. Flash, photo editing, etc, no. 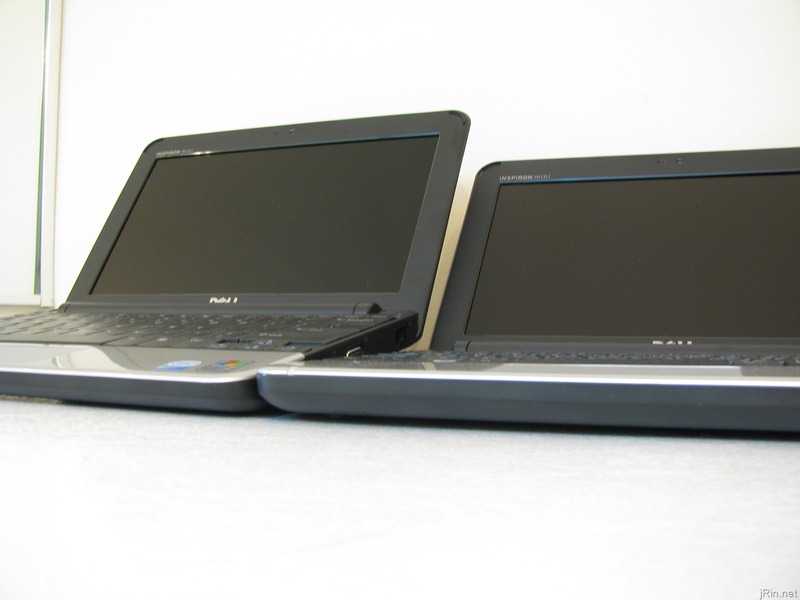 That being said, besides the Mini 10 being a bit more sluggish when having more applications open (1GB), they both faired just as well as every other netbook out there (sans the EEE PC 1000HE overclocked). I was unable to get PCMark05 to run on the Mini 10 (no idea why), but I was able to on the Mini 10v which scored 1,498. (This is only slightly less than my EEE PC 1000HE which scored 1563 in super performance mode). And of course, the Mini 10v is upgradable to 2gb though requires fully dismantling the laptop to get access to the memory slot which is on the bottom side of the motherboard (there is no easy access panel like there is for the wireless card in the 10v). All things considered, when choosing to get the Mini 10 or the Mini 10v it mostly comes down to whether you want HDMI (with 1GB max) or VGA (but with 2GB max). I say “mostly” only because with the Mini 10 you are now able to get an HD screen as well as integrated GPS and TV tuner (but which also substantially increased the price). I also highly recommend regardless of which one you go with to purchase them from the Dell outlet to get a significant savings in cost – they carry the same warranty and most times you can’t even tell they’re refurbished! thanks, this was really helpful in my deciding to get the mini 10 based on my unlikelihood of upgrading memory and wanting the HDMI port. Thanks so much. This is the best review I’ve seen. I went to the Outlet and purchased the Mini 10 for $259. It’s stripped down but it will be fine for my 14-year old daughter to surf and do her homework with. What a deal! This is a great review and thanks for breaking the detail down with pictures. With Dell outlet and coupon I think I can get it down to close to $200 and make it really just a cheap walk around meeting “notepad”. Thanks for the detailed comparison. It’s awesome! I ended up buying the mini 10 but I had to buy a portable USB CD/DVD drive. Still didn’t cost much and I am REALLY pleased with the performance! Thanks a lot for your nice and detailed review! 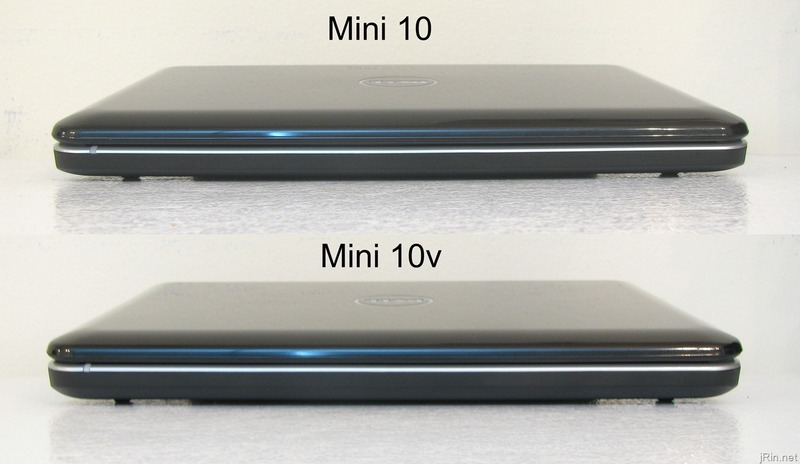 I ordered a scratch and dent mini 10v with a 6 cell battery last week with the 15% coupon. Total cost with tax was a low $213. 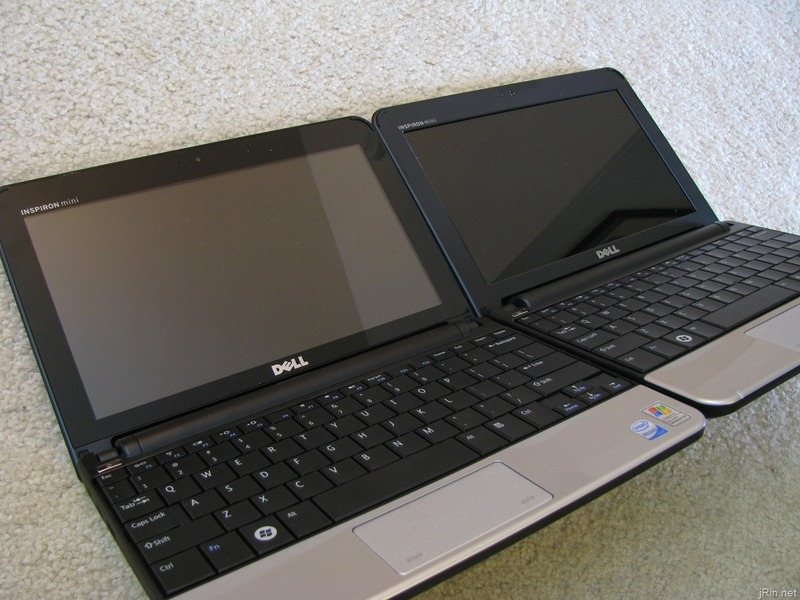 I have received conflicting reports from various Dell reps concerning upgrading the memory from 1gb to 2gb on this net book. Some say yes some say no. I have ordered a 2gb stick of memory and will see for myself when it arrives later this week. A note about Dell’s tech service. My refurbished Dell D610 had gold tech help service which is far superior to Dell’s regular tech service. Thanks for the comparison and the link to the memory upgrade. Both are very useful. Just wanted to say thankyou very much! This was very helpful – especially the info. on the battery. It’s people like you that make technology less overwhelming and as a consequence help to move this industry forward a lot faster. Have a great 2010.
hi! 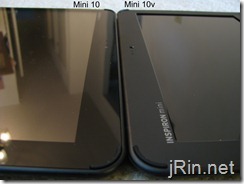 so the mini 10 will not be good in using adobe photoshop for example? please reply! thanks! @Fedora and Trevor — doing any adobe/macromedia/etc development will likely be very frustrating on these machines. 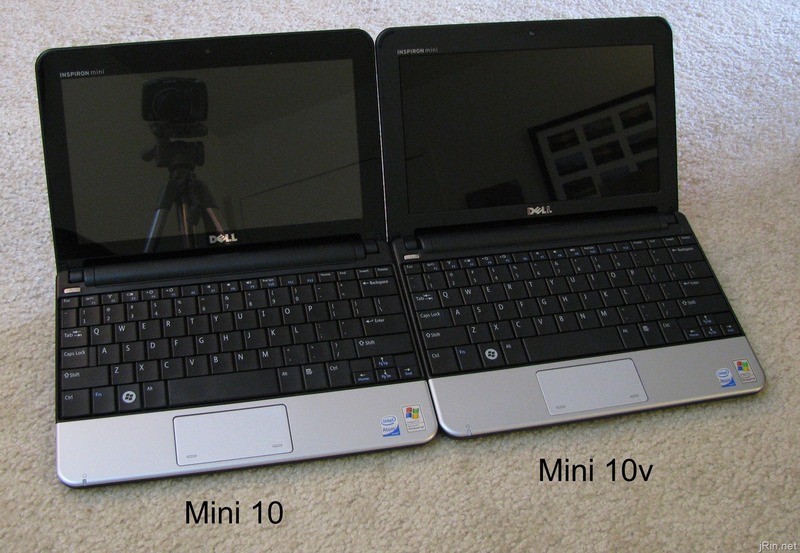 If you get the Dell Mini 10 w/the 1366×768 screen, you’ll be stuck at 1gb – but if you get the Mini 10v with 2gb you will be stuck at 1024×600 — both situations are pretty bad for heavy development. Screen size and memory limitations aside, the processor is also just not powerful enough to give a non-painstakingly slow experience. Could photoshop/macromedia/etc RUN? probably — but would they run well/smooth? No. Thanks for the review and reply! What is the added weight of the 6-cell battery? Thanks for reply. the added weight isnt much, I like the fact that the battery lifts the unit up, it oputs it at a better angkle for typing in addition to letting the unit cool better, also, Dell will soon be releasing a daughter board for the Mini 10 which will bring the Mini 10 to 2gb..no part number yet also there are now step byt step instructions on how to load OSX on the Mini 10 even with the GMA 500 graphics.. I bought an ASSUS eee for my wife for Christmas and she loves it; to upgrade to 2 gig one lifts the hatch and installs. My sig other bought me a miniv and I like it except for the mem upgrade hassles. I upgraded both to win7 hp and Office 7. I’ve bought one, the service tag says its a 10V & it has the wirelass access flap on the base, but just says “mini 10”, on the label next to the service tag. But I still want to Hackintosh it. unfortunately I’m at work & Dell is at home. But I know it has two USB ports on the left side & only one on the right, I’m bringing it in to work tomorrow as a technician here has Hackintoshed his mini 9 & is offering to help. Hmmm but why did the video driver update fail I wonder. and do you know if I NEED 2GB to run OSX do you think? To confirm and thank James for all his work on the mini-series. I have just acquired for myself, daughter and clients all the different varieties of these fabulous machines. The mini 9 is just a tad too small for my fingers, but is brilliant to carry around with its mobile broadband option. Also now has 2Gb (took a few seconds to oprn the flap, change the memory and put the flap back. Why didn’t they do this on the 10v I wonder? The Mini 10 with TV and bells/whistles is great, and it has the ugly and impractical 6 cell battery. However, it played 2 full DVD’s (4 hours+) on a plane without any power input. That’s impressive. And the screen is really crisp. 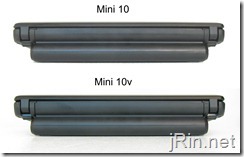 The Mini 10v now hs 2Gb thanks to the video that James has left on the site. It now has a really fast start up and general browse. Also can confirm that updates and anything processor intensive is slow, but who cares, as long as it’s not happening whilst I create docs or browse the web. And I’ve just got one of the new mini 10’s for a client. Looks really good, and the battery has an impressively long life. Well done to Dell on these machines. Does anyone have any suggestions for a small but cheapish notebook that would be suitable for Photoshop CS3 use? Are there any netbooks ok for this? after much research, including waiting 45 minutes on the phone to ask dell (to find they were wrong) it appears i’ve got a 10v (vga on the right). dell not only did not have my service tag on file, they told me i could not upgrade RAM on ANY mini 10.
question 1: now that i know i can upgrade, and thanks to your great video i know how, where might i acquire the 2g stick for this machine? question 2: can i really upgrade to a 500g hard drive? (that was an option when buying new?) if i do so, i’m guessing i’d have to reinstall the os, yes? question 3: how to install OS without cdrom? external? 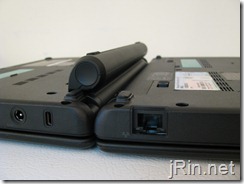 and finally question 4: can i buy another small (3 cell) battery when this one wears out? 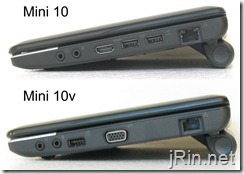 Anyone done iPhone dev on a Mini 10v? I got the Mini 10v because I read about its good compatibility with Snow Leopard. I will be upgrading the memory to 2GB and HD to 320GB so I can dual boot Win7 and SL (perhaps triple boot since Ubuntu is actually pretty cool). The main reason I got it was because the iPhone SDK is only available on MacOS, but I don’t really want a dedicated Mac since I’m thoroughly invested in Windows HW and SW.
since purchase of 10 v, I have upgraded to 2meg; 6 cell battery (which I bought from of all places Wallmart) and am happy with my machine. 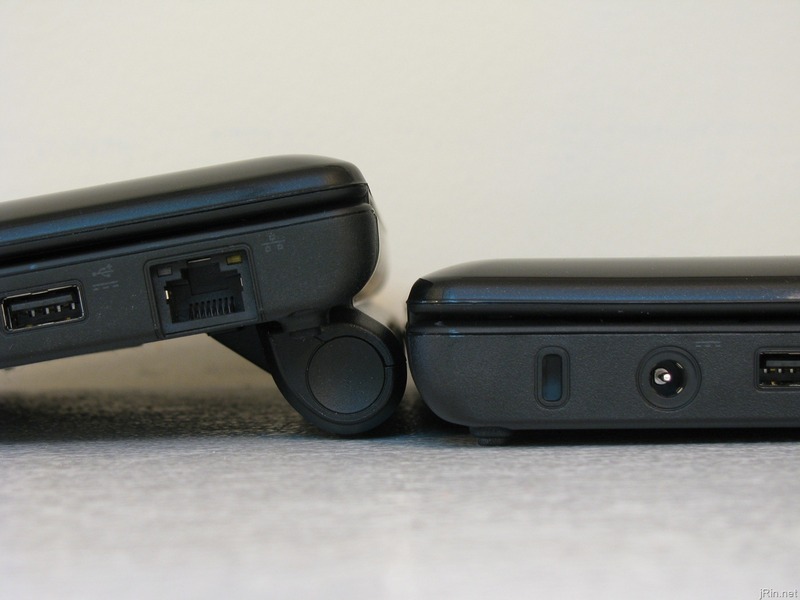 I purchased a Mini 10 with the built in HDTV Tuner. With the already installed McAfee AV software, it wasn’t fast enough to actually run the HDTV software (the video and sound stuttered too much to be usable). I uninstalled the McAfee AV software and instead installed Microsoft Security Essentials AV software (available free from the Microsoft web site). That made it a little bit faster but it still has performance issues running the HDTV software. I was disappointed to learn here that I can’t add any more memory (because I was hoping I could do that to speed it up some). Is there any other way to optimize the performance for the HDTV tuner software? Getting the memory upgrade for the mini 1010 is becoming very difficult. The 2GB memory/processor daughter card is hard to find. 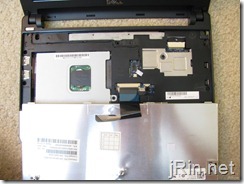 Dell’s Internal Part number is R031P. They have given me the biggest run-around trying to get this card. 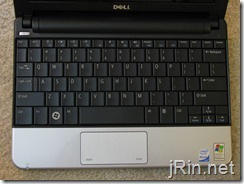 The only thing I like about the Dell Mini 1010 is the keyboard, it has nice large keys. I thought I’d add that my Mini 10 came with Windows 7 Starter installed. Does that make any difference with respect to performance? I’ve read about them in a few forums. I’ve even talked to Dell about the card. As to what you are saying, maybe that is why I was only able to get 1GB, that does not mean you cannot upgrade the memory. 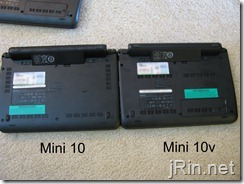 We also purchased an HP mini, it was easy to upgrade the memory with same config as the Dell Mini. One great forum was mydellmini.com. On that site they list an SKU number of 317-0495. My Dell Mini came with 7 starter, I upgraded it to 7 Pro. I looked around on google and it looks like there indeed might have been a 2gb daughter card that dell said was available at some point, but I have yet to come across anyone who actually has seen/used one. do you have a direct link to the mydellmini posting referencing the 2gb daughtercard? Just get the mini 10, but use a USB or portable hard drive, because I think the 10 is better than the 10v in most things except memory. Very excellent comparison. great work. about the 2GB/Z530 daughterboard part number(R031P) and somewhere else with a lower price(I’ll post if i find it again), but I’d prefere to see a 2GB/Z550 daughterboard in the future. I think Z550(2GHz) is available only in some Sony mini Vaio-whatever. Mine is a 3G(Vodafone) model which is now used with COSMOTE(3G/HSDPA provider in Greece,better cover than Vodafone) even if I had to remove Vodafone’s Wirless Manager software(and any Vodathing else)/Dell’s drivers for the 5530 Ericsson 3G modem and install the Ericsson ones to unlock/make it recognise my SIM. The main reason I wright is to ask if someone knows if there is any mini pci-e port free in 1010 to put an SSD as a boot disk. My 1010 has no TV tuner but as far as I know this would be in a USB interface port, so it is useless exept if there are USB interface SSDs and can also be bootable(I belive there aren’t). Anyway, I’ll try to solder a mini PCI-e slot(if I find one) on the missing TV tuner place and put an SSD I have from a mini 9 just to see if it works and boots OS. If not, wil plug something with USB interface. 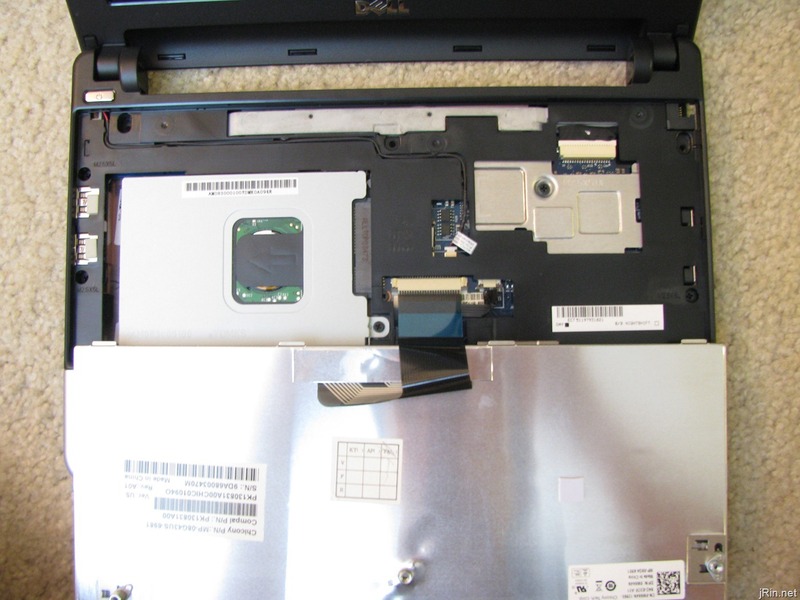 Hi my dell notebook 10v screen was cracked and im trying to fin a replacement so i can do it my self,but im having difficulty trying to locate the part number. is there something els I can go by? can i use flash cs3 on this notebook dell mini 10??? 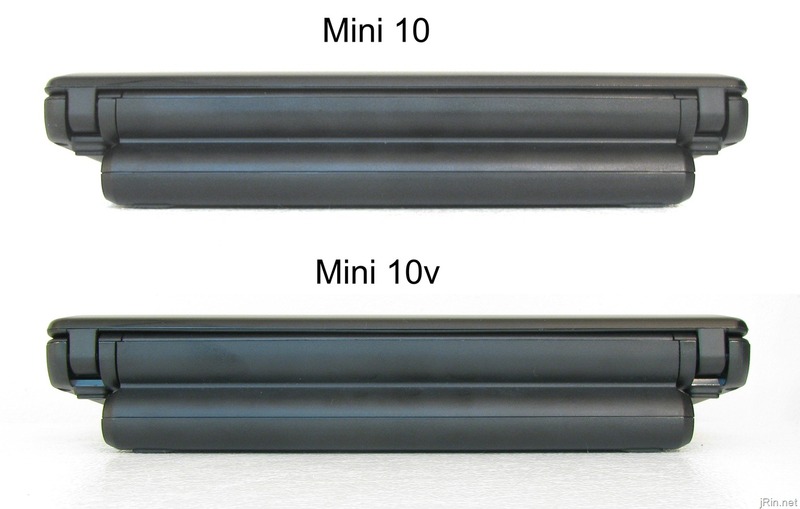 i bought the 10v and did the ram with know trouble thanks.Thanks for the detailed comparison. Did anyone ever have an answer to @Ron;s question about iPhone SDK on the 10v? Seems I’ll have to upgrade to SL 10.6.4 to use SDK 4.1. Did anyone ever have an answer to @Ron’s question about iPhone SDK on the 10v? Seems I’ll have to upgrade to SL 10.6.4 to use SDK 4.1. How can I install adobe photoshop 7 in dell inspiron mini? its possible for install for it for or disable for this this service!!!!!!!! Thank you so much last year this really helped on deciding to get my 10v. I just love it! had to buy a portable dvd drive but who cares. I even upgraded my 10v to windows 7 ultimate. How to unlock the 3G SIM network ? to use other 3G SIM ? @Majid, what 3G card do you have?